Founded in 2009, WE ARE ALL COLLAGE (WAAC) is an innovative interdisciplinary architecture practice based in Detroit, MI and Portland, OR. WE ARE ALL COLLAGE explores indexicality, excess and the encyclopedic collage of contemporary experience through architecture, design and information culture. WAAC's current projects include a conceptual master plan and playscape for Detroit's Pallister Park; planning and events for Detroit-based gallerist Dennis Anderson (of DAG, which formerly had roots in Los Angeles and Antwerp); The Modern Architecture Network, a digital humanities project that illustrates the evolution of architecture from 1850 to the present; The Listening Archive, an information-based music nonprofit and a forthcoming audio-video oral history collection at the Library of Congress. Prior to establishing WE ARE ALL COLLAGE, Laura Foxman (LEED, NCARB) worked in New York City, Los Angeles and Mexico City on towers and cultural projects. Foxman studied the history of architecture at Wellesley College (B.A. in Architecture); and architecture design at the Massachusetts Institute of Technology and Princeton University (M.Arch). Foxman teaches design at Wayne State. Previously she taught at The Pennsylvania State University, where she was a Stuckeman Fellow/visiting assistant professor in Architecture; and at the Institute for Architecture and Urban Studies in New York City. Foxman is a licensed architect in Michigan and New York. WE ARE ALL COLLAGE's mission is to innovate and offer timeless design. In order to achieve this, WAAC collages approaches, collaborates with a wide-range of creative experts across disciplines. “We are all collage” means that the potential and opportunities for innovation through intersection is limitless. MARCH 23, 2019 Foxman will be participating in a public worksession for the Detroit Sound Conservancy's historic Blue Bird Inn project, as part of the Salvaging Sounds exhibition, with the DSC and fellow Detroit architects and designers. The event takes place at the Detroit Historical Society from 1-4 pm. Hope to see you there! MARCH 2019 We are excited to be working on an entry for the housing design competition Big Ideas for Small Lots NYC administered by NYC Department of Housing Preservation & Development and AIA New York. FEBRUARY 2019 The Modern Architecture Network is currently on view at McGill's School of Architecture as a part of "Now What?! Advocacy, Activism & Alliances in American Architecture Since 1968." The exhibition's next stops will be Hobart and William Smith (March 2019) followed by the University of Buffalo's School of Architecture and Planning (April 2019). DECEMBER 2018 Foxman received a faculty research grant from Wayne State University to continue work on The Modern Architecture Network's back-end, interactive infrastructure. FALL 2018 WAAC is consulting on the Detroit Sound Conservancy's reimagining of the historic Blue Bird Inn jazz club site as part of a Kresge Grant. Foxman formulated Wayne State University's first interdisciplinary architectural design curriculum for a special topics urban studies/geography course, which she is teaching this fall. The Modern Architecture Network can be glimpsed on "Now What?! Advocacy, Activism & Alliances in American Architecture Since 1968" online. We are deeply inspired by the curation and projects by fellow architects and designers. "Now What?! is the first exhibition to examine the little-known history of architects and designers working to further the causes of the civil rights and women’s movements over the past fifty years. The exhibition content, conversations and stories inspire a new generation of design professionals to see themselves as agents of change by looking at the past to see new ways forward." Now What?! 's next venue is Woodbury University's WUHO gallery in Los Angeles (September 1 through October 7, 2018). JULY 2018 Various projects are in the works. We are currently in the middle of construction documents for Pallister Park's natural playscape. The work is being realized in collaboration with Michael J. Dul Associates. Foxman traveled to Atlanta to consult on a small-but-mighty residential project in collaboration with Georgia-based KSDesign. MAY 2018 Foxman collaborated with Wayne State University interior design students on a design report for the Detroit nonprofit Auntie Na's, as part of the second semester of Building Construction Systems. Auntie Na's is a pilot program that transforms vacant and underutilized properties on one neighborhood block into robust hubs for learning, nutrition, and health for an underserved community. Student research included conversations and consultations with Cambridge University architectural researcher Ed Ponti; and Detroit-based Arielle Laws (Nutrition/Health Expert) and Henry Crissman (Social Practice Ceramicist). Students considered Auntie Na's infrastructure from the urban scale to the plate scale; and focused on the transformation of one single-family dwelling into the organization's "Nutrition House." APRIL 2018, Ongoing We are thrilled and honored that The Modern Architecture Network project (formerly The Modern Architecture Genealogy) will be included in the show "Now What?! Advocacy, Activism & Alliances in American Architecture Since 1968," which opens in New York and will be on view from April 13-26 at the Parsons School of Design (Arnold & Sheila Aronson Galleries, Sheila C. Johnson Design Center). The ArchiteXX exhibition, organized by Lori A. Brown, Andrea J. Merrett and Sarah Rafson, will travel to numerous cities. Stay tuned for updates. 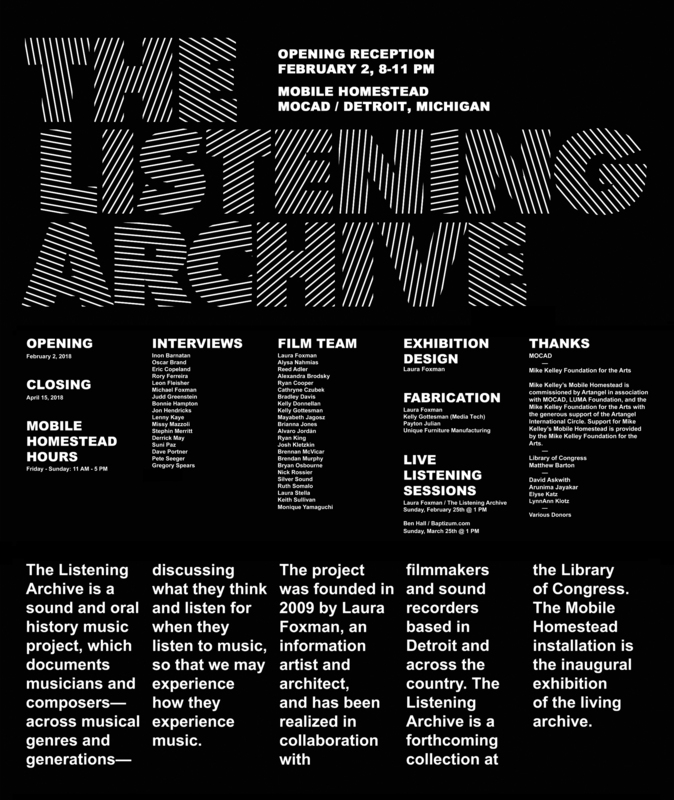 FEB 25, 2018 Foxman will perform a live listening session as part of The Listening Archive exhibition (February 2-April 15) at the Mobile Homestead/MOCAD in Detroit. Artist/Composer/Archivist Ben Hall will present bap-tizum.com in a live listening session on March 25, 2018. Both events happen on Sundays at 1 pm. Come join the festivities! DEC/JAN 2018 We are excited to be working with a Detroit-based production crew in readying The Listening Archive's first exhibition. The Listening Archive will be shown at Mike Kelley's Mobile Homestead from February 2 - April 15. The work is supported by MOCAD and the Mike Kelley Foundation for the Arts. A link to the opening and other upcoming exhibitions at MOCAD. Related going-ons: On December 12, 2017, we filmed the rapper Milo; and Foxman is prototyping a modular piece (stool/chair/pedestal/shelf) for the exhibition. NOV 7, 2017 Foxman will talk about We Are All Collage as Part of Wayne State's Designer Dialogues series. Kresge Library Auditorium @ 7 pm. SPRING 2017 WAAC created a master plan and is developing playscape concepts for Detroit's Pallister Park with Michael J. Dul–and with Robert Oringdulph consulting. The project is fueled by the creative energies of the New Center community, the site's historical landscape and our client, Midtown Detroit, Inc.
AUG 2017 Foxman will begin teaching design courses at Wayne State, in the university's Department of Art & Art History. AUG 2017 A little "philosophical" sound bite project about architecture will arrive soon. It is nothing so big, but rather quite small. It is about the thoughts that arrive and leave us–that aren't generally recorded, but that do have some consequences–or could. As for the sound bites, they are Foxman's observations–various forms of architectural critique, as well as vectors towards things or something(s). SUMMER 2017 WAAC is planning for the Dennis Anderson Gallery (DAG), which will be popping up in event form soon. WAAC and DAG are currently identifying site-specific locations in Detroit to reflect Anderson's upcoming exhibition themes. DAG is led by Dennis Anderson, a Midwestern-born, Detroit-based gallerist and art advisor whose punk and conceptual approach to art helped form the art scenes/markets in Los Angeles and Antwerp, where he was formerly based. SUMMER 2017 Lynn Cyrin has been leading the final stages of The Modern Architecture Genealogy's back- and front-end interface development; and has assembled a team of four energetic software developers to bring the project to completion (V1). In the coming months, we will grow the project with the expertise, enthusiasm and support of Wayne State colleagues. SUMMER 2017 The Listening Archive editing sessions with our collaborator, film editor Alvaro Jordan, continue. SPRING 2017 We are currently designing The Listening Archive exhibition for MoCAD, at Mike Kelley's Mobile Homestead. We are excited to collaborate with MoCAD, to bring the project to Detroit! Stay tuned for exhibition dates! MAR 2017 WAAC will be master planning an urban park in Detroit...More information soon. OCT 17, 2016 Foxman spoke with NJIT interiors students about the role of collecting in design practice from the first world expos to our post-internet era. OCT 2016 WAAC completed its first Detroit-based project, space planning and a mass-produced furniture catalog for an experimental housing prototype. It was a thrill to be involved in a project that will be a lively and innovative community. SEP 2016 Pencil Pals, a line of greeting cards that collages artifacts from Pencils & a Pen, will be available this month. The cards will be sold at stationary, book and gift stores. Please email us (info@weareallcollage.com) for a line sheet and product details if you wish to sell or purchase cards; and/or assemble custom sets to be sold or gifted. AUG 26, 2016 Foxman will be taking about and reading from Pencils & a Pen at Passages Bookshop in Portland, Oregon. Readings will be from Publication Studio collaborators and authors: Abra Ancliffe, Jon Raymond, Sam Lohmann, Diana Pembor and Laura Foxman. Festivities begin at 7 pm! SUMMER/FALL 2016 The Modern Architecture Genealogy soft launch in the works. We are excited to have expanded our team of developers. MAY 2016 WE ARE ALL COLLAGE is now in Detroit! APR 2016 Pencils & a Pen featured in Gray magazine's April/May issue. See spread here. MAR 2016 Pencils & a Pen is headed to Japan. The publication will be available at Tokyo's B&B (Books and Beer) and Hiroshima's READAN DEAT. FEB 2016 Bucky, Biodomes, Eames and Me, an excerpt from Laura Foxman's interview with the designer and inventor Peter Jon Pearce on uncube. JAN 2016 Pencils & a Pen book party and micro installation at Publication Studio in Portland, Oregon. The micro installation will be up for days! JAN 2016 / NOV 2015 Pencils & a Pen installed at Publication Studio in Portland, Oregon on November 24. Visit Publication Studio! More details soon. DEC 2015 Foxman is a Visiting Design Critic at Columbia University (NYC). DEC 2015 Foxman is a Visiting Design Critic at Marywood University's School of Architecture (Scranton, PA). NOV 19, 2015 Pencils & a Pen book party and micro installation (in collaboration with Penn State architecture students) at CW Pencil Enterprise in New York City. Come celebrate! 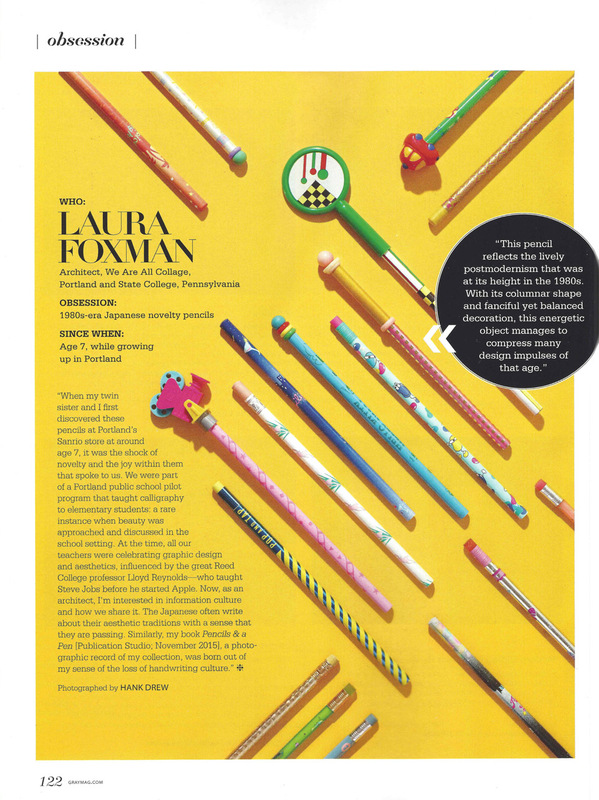 NOV 2015 Pencils & a Pen by Laura Foxman published by Publication Studio is now available! The book can be purchased at Alder & Co. (Portland), CW Pencil Enterprise (NYC), the New Museum (NYC) and Publication Studio. The title will be available at Canoe (Portland) and other stores in the coming weeks, months. JUL 2015 Foxman partipates in the Center for Architecture's think tank event Edge Collaborations: Creative Partnership with Social Science organized by Tomas Rossant (AIANY President, Ennead Architects); and Roundtable Curators Melissa Marsh (Plastarc) and Evie Klein (Architect, Planner). A public forum on the topics covered will be held at the Center on August 6, 2015. SPRING 2015 Chilean film editor Alvaro Jordan joins The Listening Archive team. APR 10, 2015 Foxman takes part in the panel discussion Collaboarating and Communicating Across Disciplines, organized for Penn State's graduate geography student conference no) Boundaries, with Clio Andis (Geography, Penn State), Chris Fariss (Political Science, Penn State) and Elisabeth Root (Geography, University of Colorado). APR 3-4 2015 Foxman presents Towards a Networked History: An Interdisciplinary Genealogical Approach Towards Expanding the History of Women in Architecture at Parsons The New School of Design as part of the Women, Architecture and Academia symposium organized by Peggy Deamer (Yale University), Brian McGrath (Parsons The New School of Design) and Ioanna Theocharopoulou (Parsons The New School of Design). FEB 2015 WAAC makes a proposal to lead Athens-Clarke County's Public Art Master Planning process. 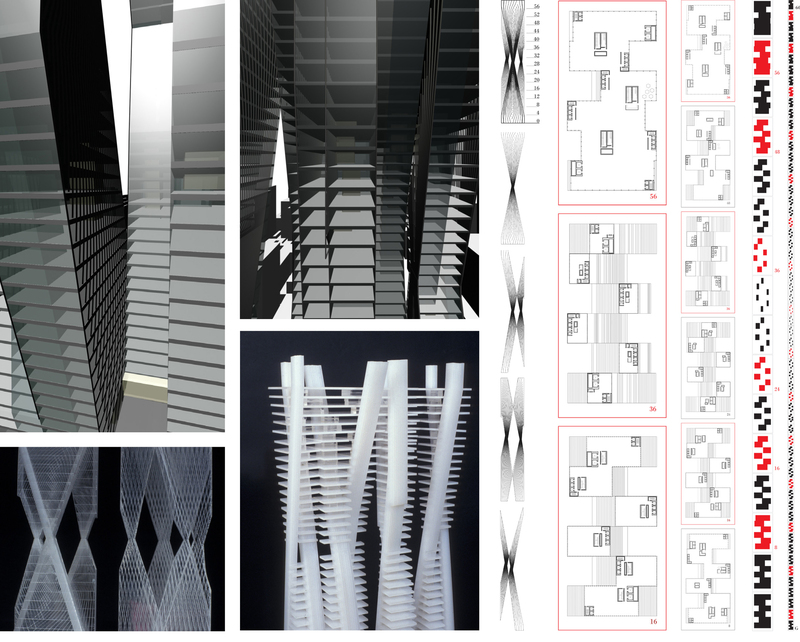 SPRING / WINTER 2015 Foxman teaches ARCH 132 studio at Penn State's Stuckeman School, Department of Architecture, where she is currently Career Development Assistant Professor/Fellow. SPRING / WINTER 2015 Foxman & Penn State Researchers work to launch the online version of The Modern Architecture Genealogy. The development is supported in large part by a faculty grant from Penn State's College of Arts and Architecture. SPRING / WINTER 2015 Book project is in the works. Graphic design by Neil Donnelly (NYC). DEC 2014 Foxman is a Visiting Design Critic at SUNY Buffalo School of Architecture and Planning (Buffalo, NY). DEC 2014 Foxman is a Visiting Design Critic at Marywood University's School of Architecture (Scranton, PA). FALL 2014 Foxman teaches ARCH 121 and ARCH 131 studio at Penn State's Stuckeman School, Department of Architecture, where she is currently Career Development Assistant Professor/Fellow. SUMMER 2014 The Listening Archive (TLA) conducts its first NW-based audio-video interview in Oregon. TLA's LA-based team meets in Brentwood, CA. SUMMER 2014 WAAC to LA, to SpaceX, for The Modern Architecture Genealogy. SUMMER 2014 The Modern Architecture Genealogy development continues with Penn State Researchers. SUMMER 2014 Book project is in the works. Photography by instrument photographer Michael Judge (Portland, OR). APR 2014 Foxman presents Towards a Global Block System at ACSA's conference GLOBALIZING ARCHITECTURE / Flows and Disruptions in Miami Beach. MAR 2014 Foxman presents WAAC's creative trajectories/processes in James Wines' drawing seminar at Penn State. SPRING / WINTER 2014 Foxman teaches ARCH 122 and ARCH 332 studio at Penn State's Stuckeman School, Department of Architecture, where she is currently Career Development Assistant Professor/Fellow. SPRING / WINTER 2014 Foxman & Penn State Researchers make major headway on The Modern Architecture Genealogy. The development is supported in large part by a faculty grant from Penn State's College of Arts and Architecture. NOV 2013 Foxman is a panelist on Penn State's Archigram roundtable (in conjunction with the Archigram Exhibit) with Dennis Crompton (Archigram), Michael Webb (Archigram), William Menking (The Architect's Newspaper) and Denise Costanzo (Penn State). OCT 2013 Foxman presents WAAC's work in her lecture Information Structures and the Leftovers at Penn State's Stuckeman School. FALL 2013 Foxman teaches ARCH 331 studio at Penn State's Stuckeman School, Department of Architecture, where she is currently Career Development Assistant Professor/Fellow. FALL 2013 Foxman establishes The Modern Architecture Genealogy research team at Penn State; and receives a faculty grant from Penn State's College of Arts and Architecture to advance the project. SUMMER 2013 Foxman teaches summer studio at the Institute for Architecture and Urban Studies (NYC). SUMMER 2013 Foxman is a Visiting Design Critic at Columbia University (NYC). The Modern Architecture Network is a highly interactive diginal humanites project, which illustrates the evolution of architecture from 1850 to the present. The project has been supported by research grants from Wayne State University and Penn State's College of Arts and Architecture. An advisory board of global scholars, curators and publishers was established in 2012. 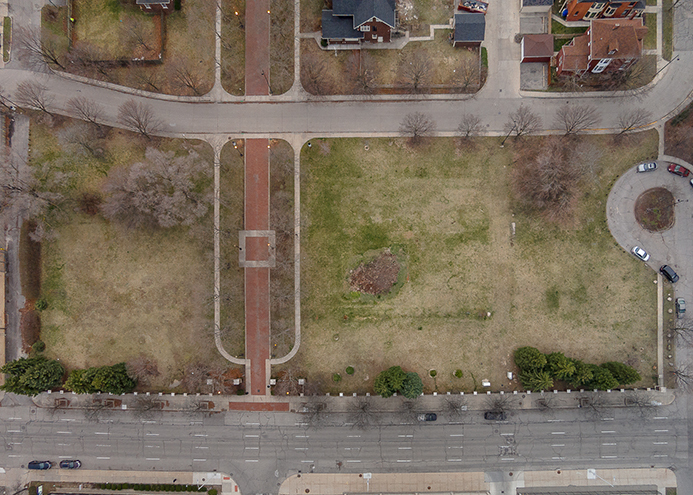 The design of a natural playscape is fueled by the creative energies of Detroit's New Center community, the site's historical landscape and our client, Midtown Detroit. We are currently in construction document phase. Photo by Chris Miele (Spring 2017). In visual art, there is a history of shared looking. In music, shared listening is a rarer endeavor. How many of us know what our Dad thinks about when he plays his favorite song? How many of us know what ideas meander through our favorite musician’s mind when she listens to music—to a recording that has influenced her own music or sensibilities? What musical ideas resonate with our musical icons, local treasures and emerging musical artists? This exhibition explores The Listening Archive’s approach to such questions. The exhibition features video portraits from our living archive, as well as a dispersed listening library with archival materials including interview transcripts and recordings of the featured musicians, which can be explored at one’s leisure. 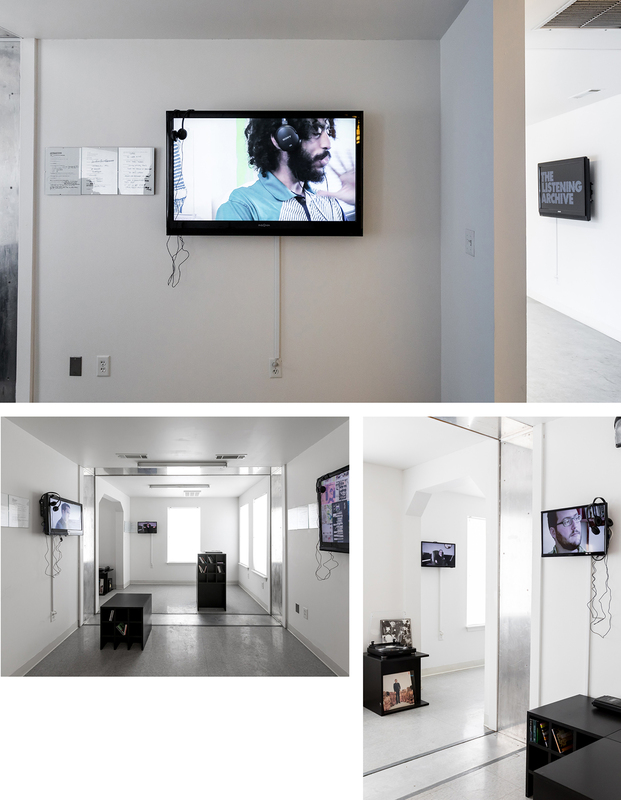 The Listening Archive Exhibition was the first for the project and was on view from 2/2/2018 - 4/15/2018 at Mike Kelley's Mobile Homestead/Museum of Contemporary Art Detroit. Photos by Michelle and Chris Gerard. FUNDING: The exhibition was realized with the support of MOCAD and the Mike Kelley Foundation for the Arts. Mike Kelley's Mobile Homestead is commissioned by Artangel in association with with MOCAD, LUMA Foundation, and the Mike Kelley Foundation for the Arts. Pencils & a Pen is a photographic survey and exhibition series of 1980s Japanese novelty pencils and their designs. These pencils, originally distributed through stationery and children’s stores, found popularity at the dawn of personal computing and have come to represent a bygone era of handwriting culture. An introductory essay relates handwriting to notable twentieth-century Japanese aesthetic surveys praising the mysterious beauty of everyday objects that meaningfully connect the user to design culture. The publication was a special edition and is sold out (at Publication Studio), but remains available at various museums, design shops and bookstores. Feel free to be in touch (info@weareallcollage.com) to identify purchase locations. 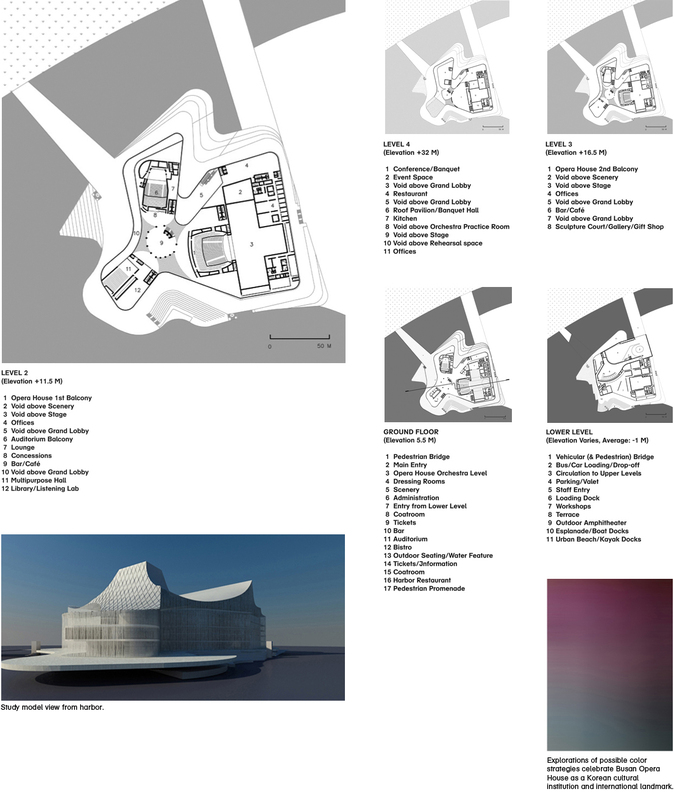 The project conceptualizes the Information House (2012-2014) on a global scale. Research for the project began with explorations of the historical development of mapping the planet. 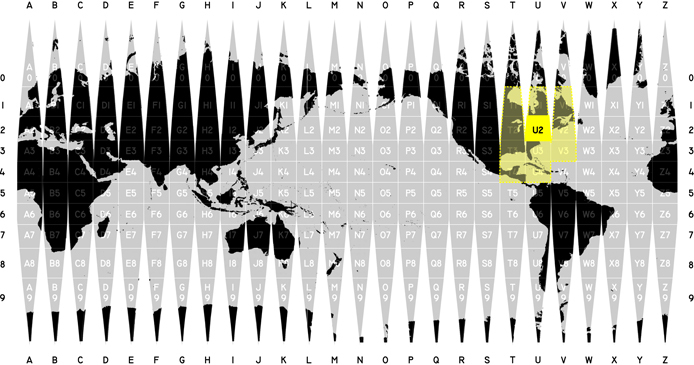 The age of exploration produced maps that allude to measurability and global connectedness through networked waterways and exploration. In contrast, the twentieth century saw a rise in conceptual approaches to global space. Today, advancements in satellite and interactive technologies offer new possibilities in mapping the global community in plain data, but such advances still do not allow us to easily grasp the impact of earth events. We need a new global coordinate system that allows people to navigate and easily understand the significance of particular earth events. The Global Block System would fill this need. The information house is an experimental house prototype where aesthetics are secondary. The information house is a new series of case study houses, sites. The curtain as concept and protagonist. The curtain embodies the illusive and provocative, suggests the spectacular, and opens up into grand and subtle displays of human creativity. Visitors, as well as city dwellers and the harbor community, experience spectacles of surprise and variety. A public park loops the entire building, offering a visual promenade around a curtain of glass, as visitors walk, jog, bike or sail. The building follows a draping strategy. A unified and complex vision — roof and facade are one; a single gesture encloses the landmark structure. 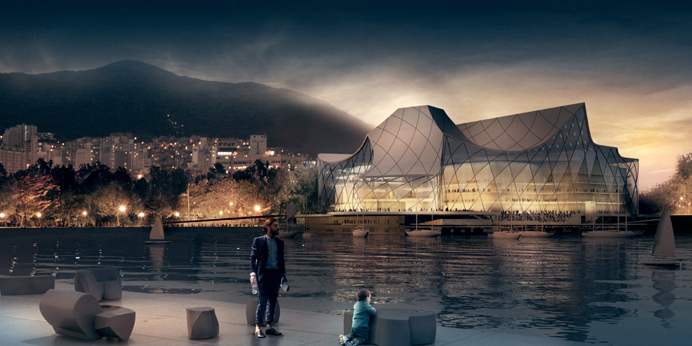 The grand atrium, the three halls — the 2000-seat opera house, 1300-seat auditorium and 300-seat multipurpose hall — and the public flow, express the curtain effect of revealing and concealing. WE ARE ALL COLLAGE invited Mary Voorhees Meehan and RWH STUDIO to particpate in a poster series that expresses collage and WAAC's collaborate practices through their own sensibilities. 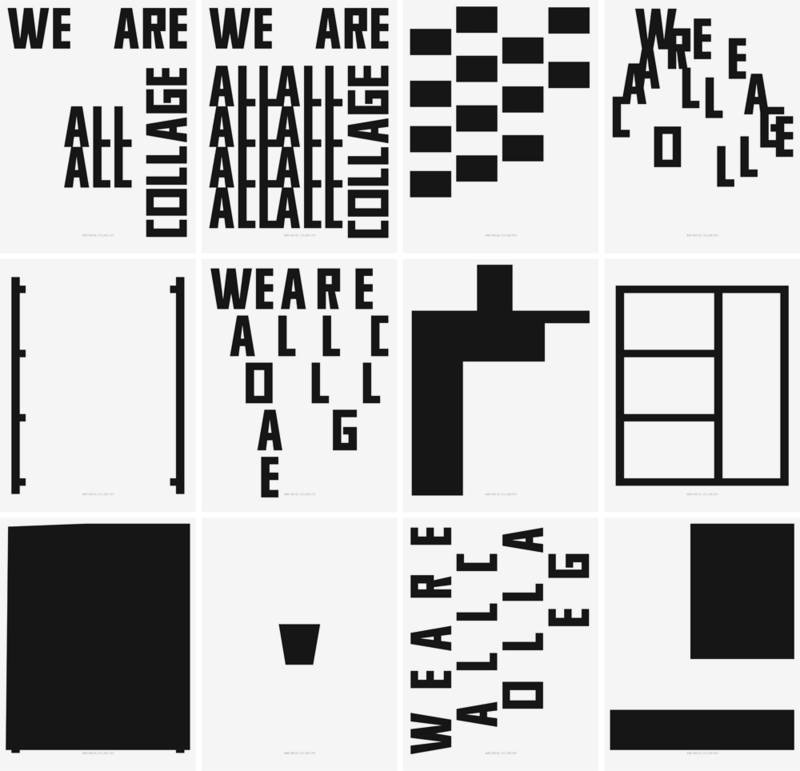 Above: An animation shows possible configurations of Mary Voorhees Meehan's We Are All Collage (#1) for WE ARE ALL COLLAGE (WAAC). The poster's quadrant structure, four 8.5" x 11" sheets, celebrates variation and assemblages. Meehan's poster (4 x 1/4 of the poster with quadrants: We, All, Are and Col-lage) is offered for free here. Below: RWH STUDIO's poster is a meditation, an ouevre complete, philosophical, small, big, medium, huge, a symphony, an undertaking, a parade of forms, a parade of thought, awe-some, B&W, a revelation, process, original typeface. The series can be seen and printed here. The Listening Archive (www.thelisteningarchive.org) offers the public and future generations an evolving portrait of our musical culture and a history that has yet to be documented. This documented form of musical listening, which does not exist anywhere else in popular culture, offers a history of what musical icons, professional musicians, composers, musicologists, sound engineers, scholars and musical enthusiasts think and hear while listening to music - and allows us to experience how they experience music. Wouldn't it be wonderful if we knew what Igor Stravinsky listened for in Olivier Messiaen's chamber music, what Henryk Szerying heard in Pedro Infante's songs, what Frank Sinatra thought of Elvis Presley's phrasing? And how about the Beethoven enthusiast who has attended concerts for the last eighty years and has heard classical music performed by some of the twentieth century's greatest performers and conductors - what subtleties does she hear, what does she listen for? What do indie rockers, rap stars, new music composers, young musicians and enthusiasts who have grown up with MP3 players, MTV and playlists listen for, when they hear their favorite recordings? The Listening Archive interviews and catalogs oral histories, in-depth commentaries by musical icons, professional musicians, composers, musicologists, sound engineers, scholars and musical enthusiasts discussing recordings of their choosing that are of artistic and personal significance. These oral histories help ensure that our culture's broad musical expertise is not lost, but honored and preserved. The Listening Archive was established in 2009. The Listening Archive is a multimedia project produced by TheListeningArchive.org, Ajna Film (www.ajnafilm.com) and with filmmakers Alysa Nahmias (Co-Producer) and Alexandra Brodsky (Director of Photography). 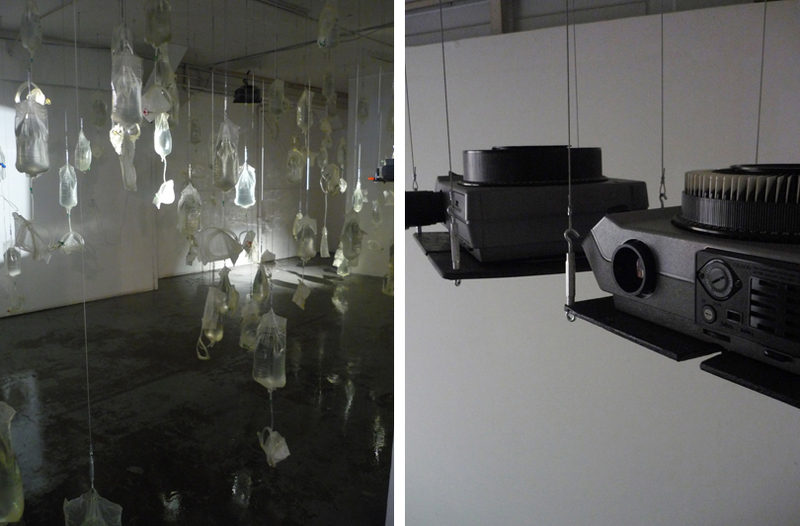 The installation, a landscape of dialysis fluid-bags, slide projectors and projected image-light, is part of The Still Life Project, an installation series that investigates time, prosthetics and inhabitance. 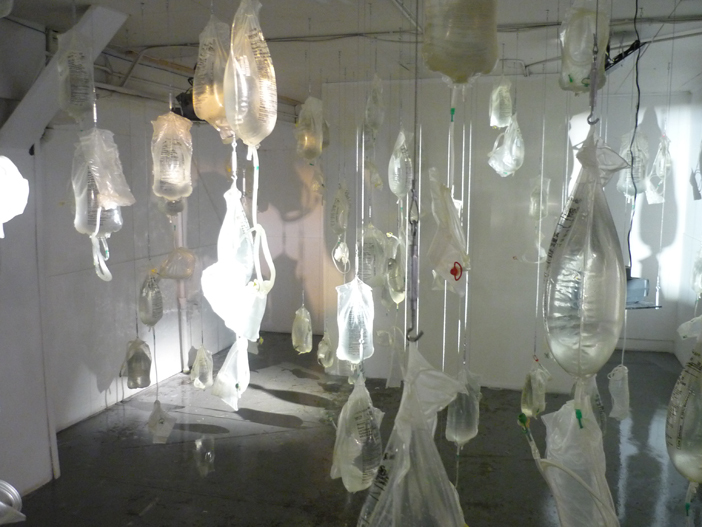 The Worksound installation emerged from a fascination with the prosthetic body, the body of assemblage, and a desire to create an environment bathed in dialysis fluid, a fluid that keeps the body alive. The pamphlet is both a book and a mural; and is designed as as an unfolding, accordion-style pamphlet that operates at multiple scales — explores visual narratives at multiple scales. 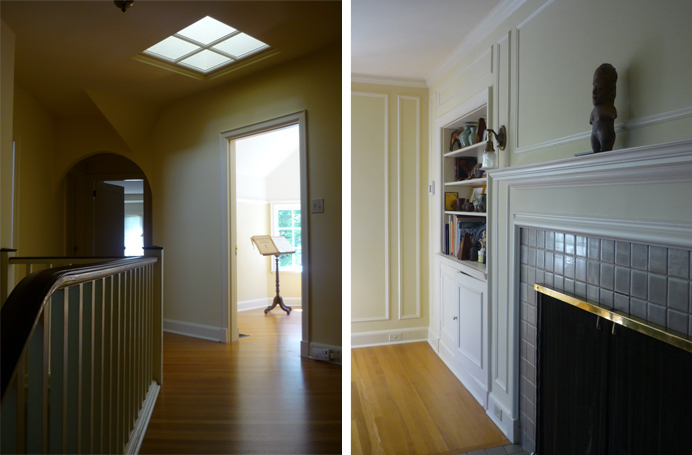 Planned and designed the interior restoration of a Hampton Pipes’ house (c. 1917). The restoration design celebrates light and lightness, which frame Pipes’ modernist sensibilities. 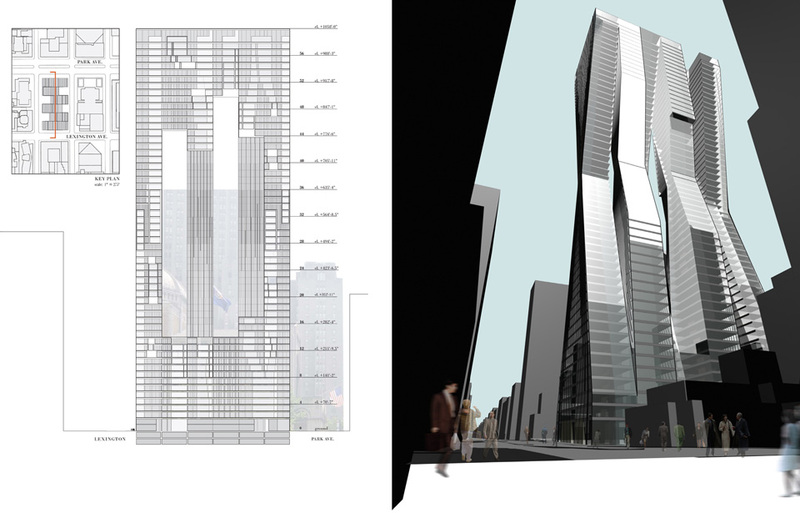 The office tower typology is fundamentally related to notions of economy. Towers that have central cores are generally regarded as having the "most efficient" organizations. The proposed office tower offers a conceptual alternative to the efficient office tower by proposing new kinds of spaces, which capitalize on conscious excesses, specifically "ornament." Ornament, which has traditionally been considered tacked-on, superfluous-excessive-can transform a building's overall organization and radicalize typologies. Office towers have excess built into them, as they are designed to withstand hundred-year storms and other kinds of disasters. Calculated live and dead loads, for example, incorporate these excessive possibilities, yet they are most often embedded within the architecture. Such excessiveness generally finds expression in more of the same, such as the thickening up of columns and beams, which are often already hidden from view. Excess Tower|s engages these embedded excesses, which fall under the guise of structure and are inherent in building systems. The project is comprised of six sliver buildings, which contribute to the Tower|s's excessive surface area. Excess Tower|s's elevators follow excessive, diagonal paths. The project's form does not maximize interior space. Quite the opposite, its pseudo-hourglass-shaped slivers are pinched at their centers, where their bending moments would be greatest, requiring increased structure. These excesses, however, produce interesting experiential, programmatic, and structural results. The excessive surface area allows for increased full-exposure throughout the Tower. In most conventional office towers, each floor has only four corner offices. In contrast, some of this project's floors have 18. The Tower|s's excessive pinching produces interesting programmatic and formal possibilities. Unlike conventional office towers whose floor plates vary little from floor to floor, the Tower|s can accommodate diverse programs because of its considerable variation. Larger floor plates are used as trading floors or corporate headquarters, while smaller footprints are utilized for small businesses, such as art galleries, law offices, and non-profits with fewer employees. Each business and corporation is guaranteed at least one corner office and great views of the city, which is not possible in most conventional towers. 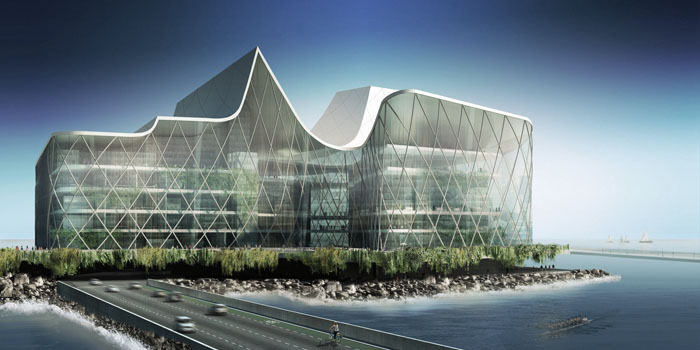 The excess benefits the structure and its expression. The diagonally arranged elevators act as buttresses, granting the structure strength and stability. The structural skins, patterns of tubular steel, transform the experience of the building, as the building changes from floor to floor. The Tower|s is most opaque at its six pinched centers, and its top floors are the most transparent. The Tower|s's structural skin patterns express the changing forces from floor to floor, by proportionally increasing the number of the steel supports and calibrating their dimensions based on proximity to the pinched centers and distance from the ground. 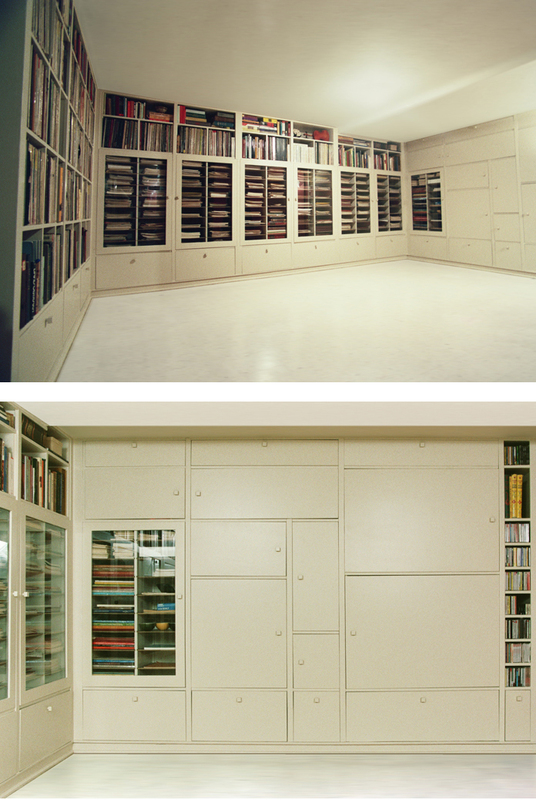 The music library was designed for a classical violinist. Proportion was the primary design strategy, as many - including the violinist client - consider classical music to be an art of proportions. Every detail - knob, door, shelf and elevation - is related proportionally to the 13" record module.